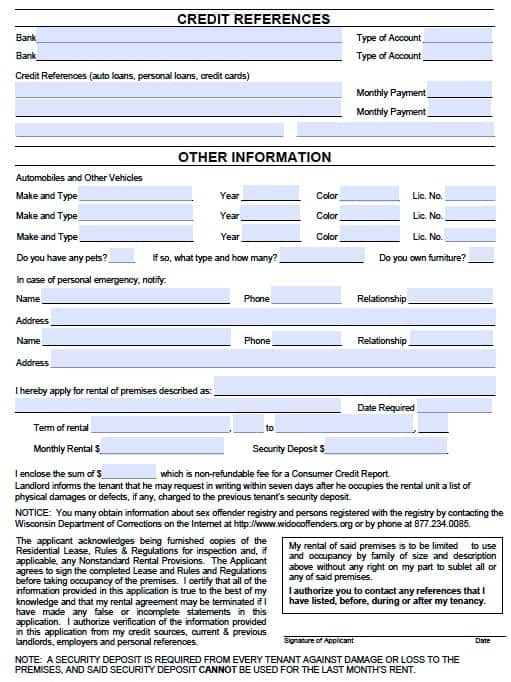 The Wisconsin lease forms are real estate contracts that legally protect a property owner and tenant for the use of liveable space in exchange for payment. Each party must abide by the terms and conditions as written, if either party breaks the lease, the other has the right to damages. The most common form of this is when a tenant defaults by not paying rent and is subject to an eviction. – The landlord may ask as much rent as they would like for the Security Deposit at lease signing. – The landlord must give back the deposit within twenty one (21) days to the tenant. – The landlord (not advised) does not have to grant any type of notice before entering the property for non-emergency use.